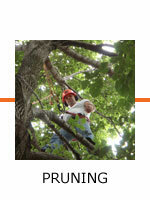 Tree Pruning Ensure the health and proper growth of your trees with periodic trimming from Torpy Tree Services. 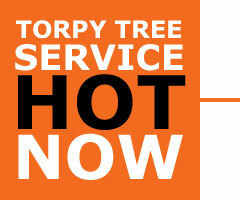 Tree Removal Leave the dangerous and technical work of removing trees to the experts at Torpy Tree Service. Why take a chance? Call us and be sure! TORPY TREE SERVICE is an Omaha, Nebraska based company that has been delivering Quality Tree Care & Landscape Services to the Omaha Metro since 1949. Our goal is to consistently provide a high level of care & service that exceed our clients expectations in improving & preserving their outdoor environments. We expect honesty & integrity from all our team members in a friendly manner that lead to lasting relationships with our clients. Our ISA Certified Arborist, Steve Torpy can help determine what type of tree care will be best for the health of the trees, as well as add beauty to your property. 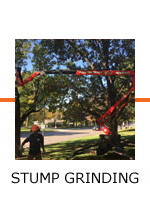 DETERMINED to be the premier Tree Service in the Omaha area by listening, finding solutions and focusing on results, that will enable us to keep our promises, so we can earn our customers loyalty. COMMITTED to business practices that promote conservation and creat a passion to do the right thing, while making a difference for the betterment of society! DEDICATED to be the leader in Tree Preservation, while incorporating methods based on scientific evidence and positive results, creating a value for our customers!